Good afternoon. 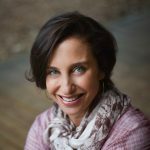 My name is Dena Kimball and I am the executive director of The Kendeda Fund. 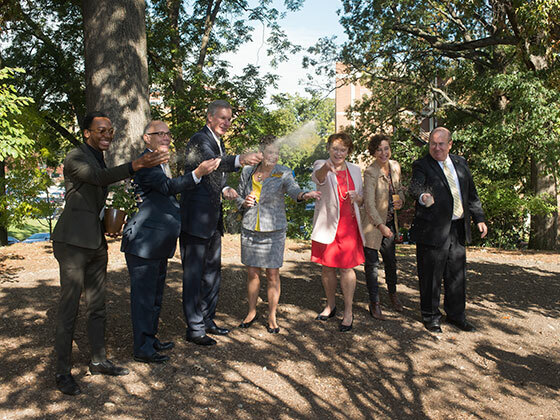 Today’s building launch represents a big milestone for the Southeast, for Georgia Tech, and for our Fund. Kendeda’s work began nearly 25 years ago when my mom, Diana Blank, first realized the transformative power that philanthropy could have in changing the world. Driven by twin passions for social equity and the healing power of nature, Diana began to make investments in and around the city of Atlanta. The work was meaningful, needed, and we are proud of the impact we’ve had in the life of our fast changing city. But over the past two-plus decades, just as the city of Atlanta, the state of Georgia and the Southeast region as a whole have evolved, so too has our sense of urgency and purpose as a foundation. Guided by Diana’s vision, today the Kendeda Fund works to support what we describe as “the dignity of individuals and the sustainability of communities through investments in transformative leaders and ideas.” And it’s that last phrase — “transformative ideas” — that brings us together today. When we started this journey with Georgia Tech we had two primary goals in mind: First, to design and construct a fully certified Living Building in Atlanta that addresses the energy, water and other challenges faced everyday here in Georgia. And second, to use this project as a means to inspire the design and construction community about what’s possible — and necessary — as this warming planet changes under our feet. For us, this grant has meant more than just writing a check. It speaks to our goal of demonstrating what’s possible…of being TRULY transformative. But this building launch is really not about us. It’s about all of you and what this project represents for our common future. To our friends at Georgia Tech, from President Peterson to the entire Tech team gathered here…thank you. We could not have asked for better partners. My husband, who is so close to getting his PhD from this great school said to me, “Honey, you don’t understand, these people love to solve hard problems. That’s what makes them tick.” And he was right. From day one of our partnership with Tech, the mindset here has been one of transformation. You’ve embraced the living building challenge enthusiastically, and you’re already using it as a springboard to examine other campus buildings and building practices. To those here in the design and construction community…thank you for your urgency – for making this project your challenge for today – not some hypothetical project of the future. Change is happening. And as our friends at Lord Aeck and Sargent, Miller Hull and Skanska demonstrate by embracing the kind of transformational thinking that this building represents, these changes can be a catalyst for bold, creative leadership – even long after the building is open, occupied, certified and a “regular” part of campus life. As the Kendeda Fund team prepared for this project, we looked at other living buildings. We listened to the experiences of their architects, engineers, builders and tenants. And we learned from their experiences. One of the lessons that came through plain as day was the power of you all – our project partners – to amplify the living building message and promote the power of regenerative design thinking—to be transformative. Just think about it for a moment: There will be over 200 firms involved in this effort – representing designers, engineers, contractors and subs, manufacturers, and service providers. Each one of you – and the companies you represent – will be an important partner on this journey. To borrow an image from Georgia Tech, you all are the swarm whose buzz and enthusiasm Georgia Tech and The Kendeda Fund need to show the region, and the world, what’s possible. You are the vanguard who can play a vital role in changing the way that building owners, foundations and industries think, plan and operate. And we are thrilled to begin engaging with you and honored by your partnership. And finally, for those who have the honor – and the responsibility – of representing our city and state in elected office: We deeply appreciate your support for the project thus far, and we look forward to your continued engagement once the Living Building is complete. The lessons we learn here at Georgia Tech will be invaluable in helping our entire state – from urban centers to rural communities – take advantage of the clean energy economy, use our water resources responsibly, and spur jobs in manufacturing the products we need for healthy, efficient and beautiful buildings. But you don’t have to wait until we are finished to help our journey. There are needless market and regulatory barriers to regenerative design that we can act on today. We look forward to working with each of you along the way to overcome these outdated, outmoded impediments to true and lasting transformation. Those of you who know my mother know that one thing she brings to all she does is great moral clarity and wisdom – which often takes the form of the perfect quote for any occasion. I cannot hope to capture her spirit – but I can try to honor her here by closing with a quote. In that spirit I think we are now being called on to interpret our time – a time of when temperatures are rising, cities are flooding, populations are growing, resources are increasingly scarce and so much of the world is literally shifting beneath our feet. During these challenging times, the poetry we need to create – that together we will create – is this transformative living building.